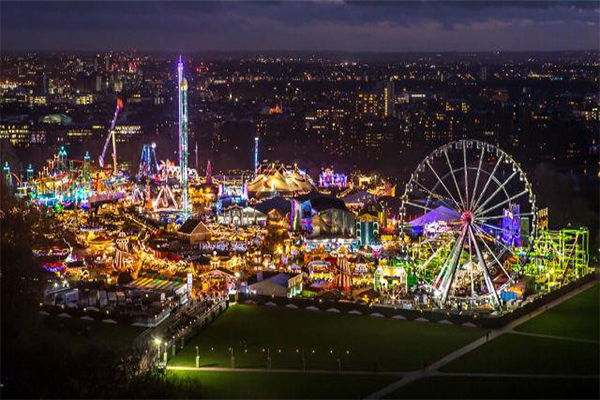 London has burst into life this with things to do and places to go this festive season. We have scoured the capital for the best events from sophisticated evenings at the London Coliseum to ice-skating at Somerset House or a supper venue for two in a secret London location. Everyone seems to get busier and busier at this time of year, but between the office parties and planning for 2017, here is our first Henry & James Christmas season to-do list for all the family. No Christmas is complete without a spectacular Christmas show or pantomime. But, why not go for something more dazzling, with a trip to see The Nutcracker. The English National Ballet has more than 100 dancers, performing Tchaikovsky’s classic score. Tickets at the English National Ballet in St Martin’s Lane start from £29.00. Open until 7th January. (https://www.eno.org/whats-on/nutcracker-201617/ + 020 7845 9300). There’s nothing more likely to get you in the Christmas spirit than singing carols in the brisk December evening air. Carol singers gather at Trafalgar Square underneath London’s best-loved Christmas tree. Services take place on weekdays from 5pm-8pm until 22nd December. Get your skates on and book yourself a chance to whirl around the ice at the Natural History Museum. With the impressive backdrop of the Alfred Waterhouse’s architectural masterpiece and a few dinosaurs for company, you can practise your pirouettes in style. Adult tickets from £12.65, children from £8.80 or family tickets from £39.60. In the mid-1800s (1854), Henry Cole, the founder of the V&A sent the first Christmas card. The museum has kept the Christmas tradition alive and runs workshops every year for families. There are 12 Christmas objects hidden around the museum to find. Daily until 6th January. Everyone has their favourite Christmas movies – Mary Poppins, the Sound of Music or E.T. Now you can watch Steven Spielberg’s E.T. with a live orchestra playing John Williams’ legendary soundtrack at the Royal Albert Hall. Wednesday 28th December at 2pm and 7pm. Winter Wonderland never fails to impress. There is something for the young ones to the gravity defying ride for grown-ups. To celebrate its 10th anniversary, an Ice Kingdom has been introduced this year. Some activities need booking in advance (open until 2nd January). If you’re looking for an alternative Christmas activity and love a mystery, this secret adventure and dining experience is perfect. Hidden away in a secret London location are some undercover agents, who need your help to find Santa and save Christmas. Once you’ve solved the puzzle, you can enjoy a two-course lunch. Are you up for the challenge? Daily until 31st December. For something altogether more relaxing, stroll around Belgravia and admire the Christmas window displays. Each year, shops in Belgravia compete with each other to see who can create the most festive displays. There are prizes for the winning windows, so the competition is fierce. A strong contender this year is Neill Strain, or Nicholas Haslam. Follow #BelgraviaChristmasWindows for more information. Here is the perfect extravaganza to finish off Christmas with 360 degree views across London and beyond, you will be able to enjoy all the firework displays from Britain’s tallest building. There is Champagne, cocktails, a live DJ and a goodie bag to take home (PRICE????). The perfect way to end the year and start 2017 in good spirits. Tickets cost £195 per person. Leicester Square is always bustling with activity. But this year, there is more to do with a Christmas grotto, market stalls and Christmas shows. The market is open until 8th January. For advice on buying, selling, or moving to Belgravia, contact Henry & James at 1 Motcomb Street, London SW1X 8JX (020 7235 8861; belgraviaoffice@henryandjames.co.uk).